Please consider contributing to the care of these deserving animals. Some of these animals were confiscated from people who kept them as illegal pets; some owners relinquish a pet because they no longer can or want to care for their animal; and some are rehabilitated animals that are determined to be non-releasable, meaning they cannot survive in the wild. For these animals, Wildlife Learning Center becomes their permanent home, where they receive life-long care. Ongoing fundraising supports the care of dozens of rescued and rehabilitated animals; covers veterinary care and daily animal care; funds enclosure construction and maintenance; provides school outreach programs; and pays for general operating costs. WLC’s long-term goal is to expand the Center by purchasing the land it resides on, develop animal habitats, create a student classroom, and rescue more animals in need. Funds will also be needed for microscopes, desks, chairs, and biofacts. On the donate checkout page, please select share your mailing address with us, so we can acknowledge your donation. Thank you. Or call 818-362-8711 to make your gift by phone. Planned Giving can greatly help the sustainability of Wildlife Learning Center and our mission of providing wildlife sanctuary and public education. Your legacy can live on and continue to serve your family and community for many years to come. A charitable bequest can be of any amount. Your support can help to feed our majestic bald eagles for a month or purchase the property WLC currently leases. 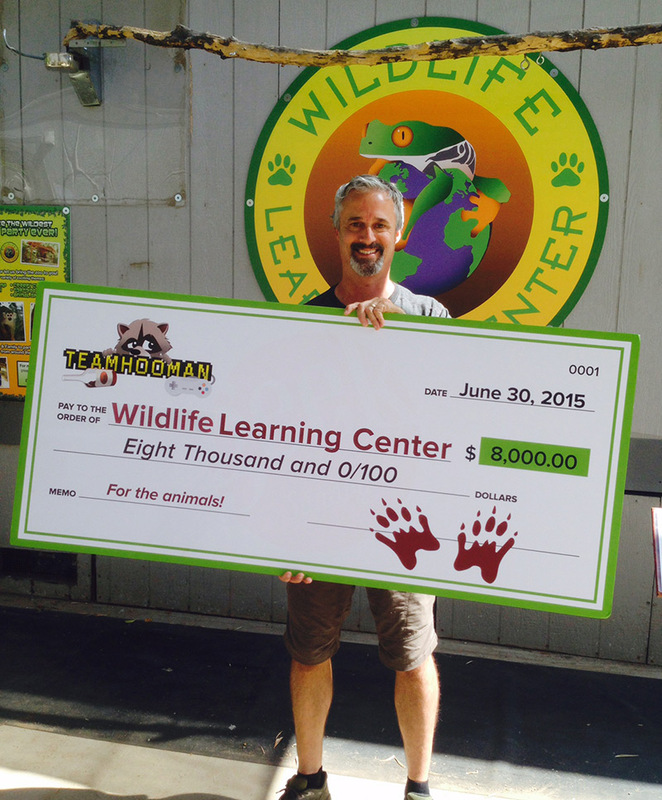 You can also include Wildlife Learning Center as a beneficiary on your life insurance policy or retirement assets. There are many other ways to give, including property, vehicles, boats, charitable remainder trusts and other gifts. If you are interested to learn more about any of these possibilities, please contact Wildlife Learning Center. Real estate that you own may have appreciated so significantly in value that its sale would create a substantial tax burden. By making a gift of real estate to the Wildlife Learning Center, you may be able to avoid capital gains taxes and receive a charitable tax deduction for the full market value of the property. It is also possible to make a gift of property while retaining a life estate so that you can continue using it for the rest of your life while obtaining tax and estate planning benefits. Please note that Wildlife Learning Center reserves the right to evaluate each real estate gift before acceptance. A bequest may be particularly attractive as a gift option if you are unable to make a current (outright) gift, but would like to contribute to Wildlife Learning Center in a meaningful way. Bequests may be restricted or unrestricted and will be used where the need is greatest. To learn more about different kinds of bequests and to obtain the correct wording for your document please contact us. Gifts of appreciated stocks or bonds have the same positive benefit to Wildlife Learning Center as a gift of cash; however, a gift of securities is usually of greater benefit to you, the donor, than a gift of cash. Donating appreciated securities is one of the most tax-wise opportunities available. In addition to receiving an income tax deduction for up to full market value of the gift, you can also avoid capital gains tax you would have had to pay if you sold the asset instead. A donor creates a Charitable-Lead Trust by transferring ownership of an asset or assets to a trust. Lead Trusts permit you to place assets in trust to make specified payments to Wildlife Learning Center for a designated period of time. At the end of the period, depending on the type of Lead Trust, either you regain possession of assets or the trustee distributes the assets to the named beneficiaries. It is called a “lead” trust because the recipient receives the income or “lead” interest for a period of time. Utilizing the lead trust, donors may leave a significantly larger inheritance to their heirs than they could have left via a will or other trusts. A Charitable Remainder Trust is used to hold assets that produce an income stream for the donor (or the named beneficiaries) for the donor’s life or for a period of years. At the termination of the trust, the remaining trust assets, the “remainder”, are transferred to Wildlife Learning Center. There are two main types of Charitable-Remainder Trusts — Annuity Trusts and Unitrusts. The main difference between the two types of Charitable-Remainder Trusts is the way your annual income from the trust is determined. If you no longer need life insurance, consider donating the policy to Wildlife Learning Center. This will give you a charitable tax deduction for the approximate cash surrender value of the policy and help you to further our mission. You can also use a life insurance policy to create a legacy for Wildlife Learning Center as beneficiary or contingent beneficiary. To change this, you would need to complete a Change of Beneficiary form with your life insurance company.